We all have days where we start out in morning with our hair up then half way through the day your ponytail bothers you and the hair comes down so you slip your hair tie over your wrist for safe keeping or you wear a hair tie on your wrist in case you want to throw your hair up later while out and about. Make that hair tie look like an accessory and fashionable with the hair tie bangle by Littlearth Productions. 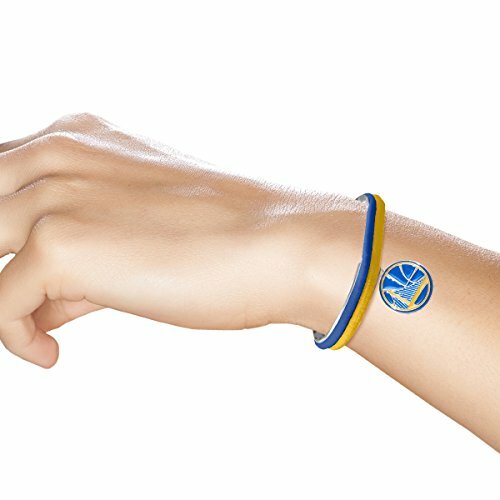 This nickle free and hypoallergenic bangle comes with two team color hair ties. One of the hair ties boosts a team graphic charm to keep you showing team spirit no matter if your working out or just relaxing with friends. Measures 4.375" x 5".